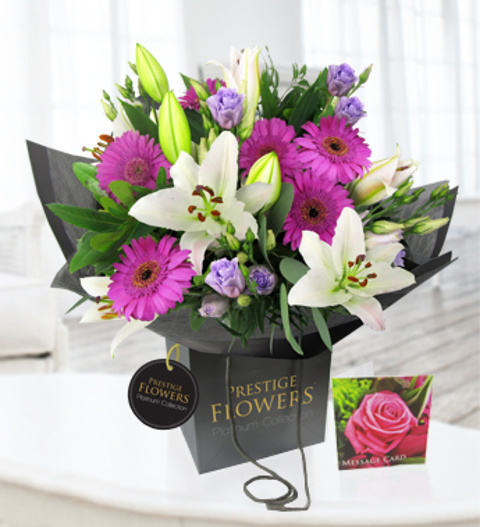 Supreme elegance prestigiously designed with our wonderful white lilies embraced with glorious germini flowers. With stunning blossoms the bouquet is celebrated with luxury lissanthus and dashes of vibrant colours. The Exquisite bouquet comes displayed with our luxury bag. The bouquet is available for UK next day delivery.